I love this retro-Silver-Age style backup story. The "electronic fake foreheads" bit cracked me up. Thanks for posting this! 'Cause you two were fine with an excuse to smooch! 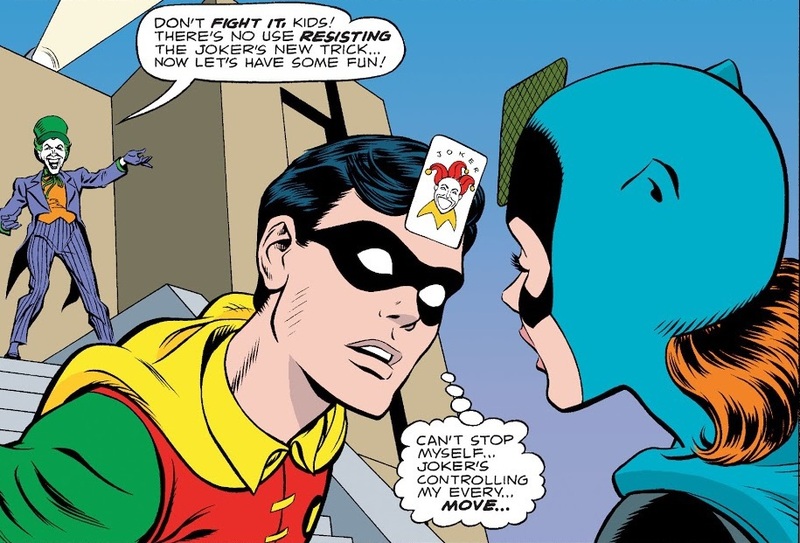 The Joker is controlling Robin? Oh no, this will be awful to read… no, wait, it's nice! What a nice comic! I like this comic. And why did you ask them to kiss, out of all things, huh, mr. "my OTP" "the ship has SAILED" Joker… or should I say, babsdickfan73 from archiveofourown dot org?! The Silver-Age art style looks weird in modern printing quality. It does. They maybe should've applied a halftone effect to make it look more vintage. In more recent editions of Watchmen, DC has done that with the Black Freighter segments and I think it works well. 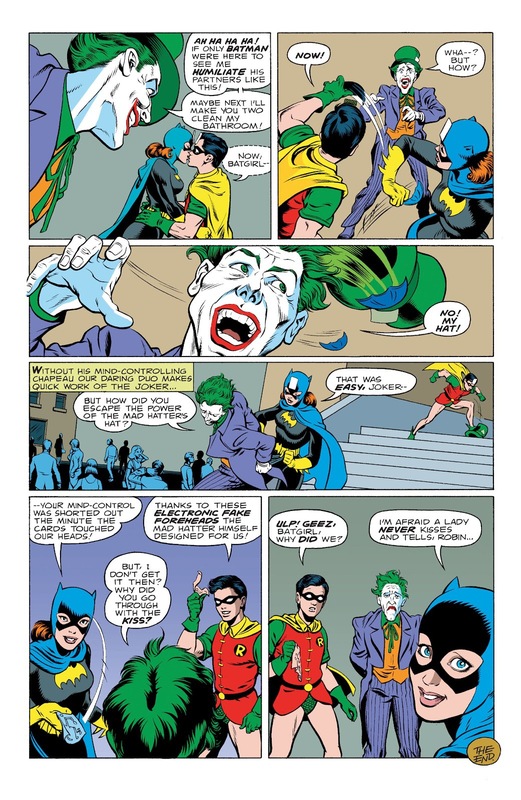 Love Joker's expression in the last panel. As for the kiss, I figured they were just lulling him into a false sense of security. And on the false foreheads -- I predicted that at the outset, based on something else, but I can't remember what. The fake lips in Batman & Robin? The 1/3 rule applies to any story longer than 2 pages. 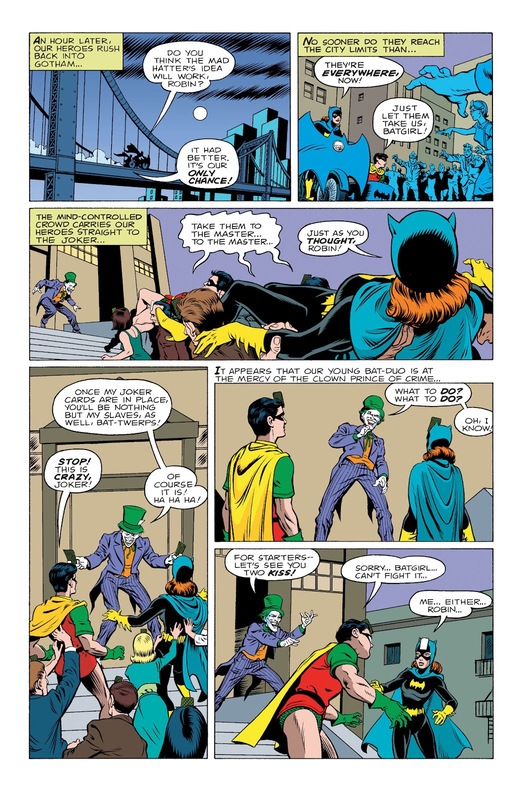 According to comics.org, this story is only 6 pages long, therefor you can only post two pages worth of story. Please trim immediately, so this is in line with board rules.